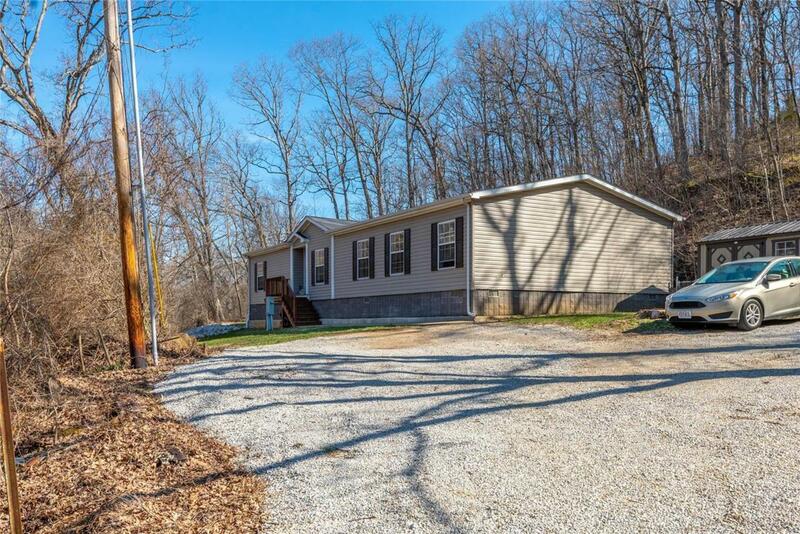 Your opportunity to own 1.25+ Acres and spacious, 9-year-old home is here! This 3 bedroom, 2 bathroom home is loaded with extras and located on a private setting with a convenient location. The kitchen is a cooks dream with tons of cabinet and counter space, center island w/ bar seating. The floorplan is perfect for entertaining. The kitchen is connected to the large dining room by an arched bistro area. The dining room provides access to the deck and the private back yard. The open floorplan provides full access to the huge great room. The master suite is stunning, huge bedroom, walk-in closet, large bathroom with soaking bathtub and separate shower, double sinks, and large vanity. Home features main floor laundry, entry foyer, built-in bookshelves, storage shed, and so much more. Set an appointment to see this today!